Our beautiful and high-end quality tents are enhanced with marquee walkways, floor coverings, dance floors, band platforms, window sidewalls and raised plywood flooring. Signature decking can be found in Tent Enhancements. 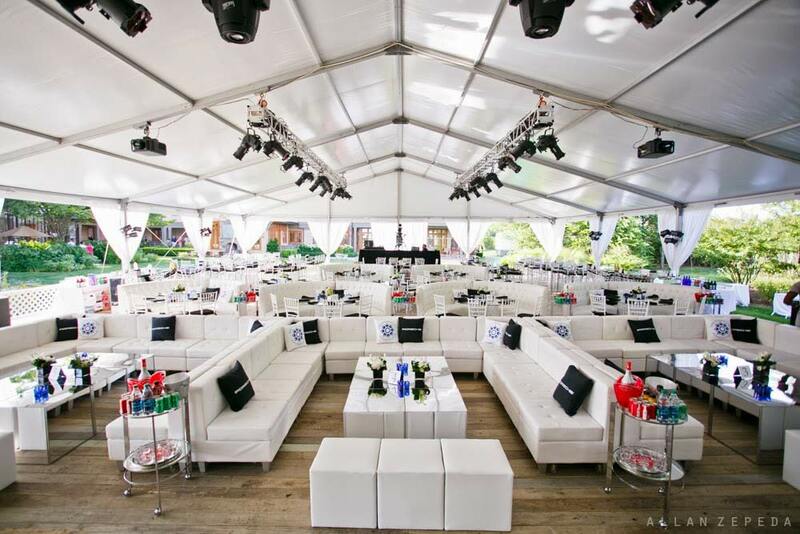 Whether your party is an intimate backyard get-together or a stadium-sized mega-bash, Starr Tent can provide power generation, air conditioning, heating, portable bathroom trailers, decorative lighting, ceiling liners and many more tent structure enhancements that will make your event beautiful and comfortable. We are the people that professional party-planners as well as individuals turn to for seemingly impossible tent installations. Starr Tents is dedicated to the principle of providing all our customers with on-time delivery, clean up-to-date equipment and a professional installation. All our efforts go into providing each customer with a reliable service that can be counted on to provide temporary shelter at each and every event. Our business is family-owned and run by the Starr family for over twenty years. We supervise every facet of every installation. Starr Tent is the expert in the business for wedding tent rentals and party tent rentals.